Pennsylvania’s illustrious history provides a great setting for spooky sights, ghost tours, and other haunted attractions. 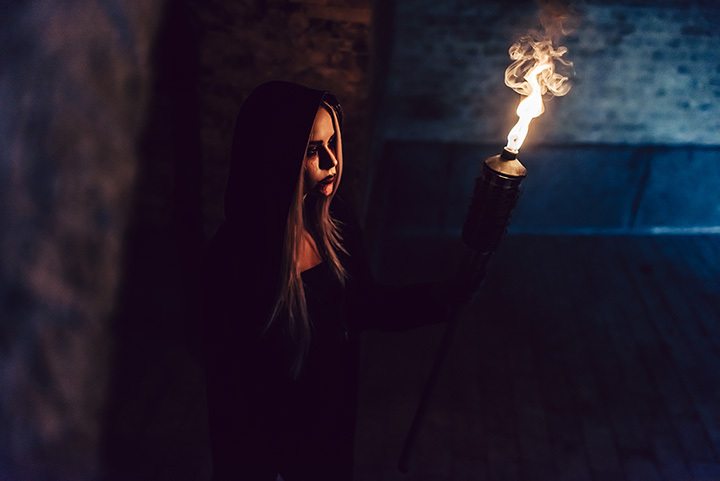 If unfamiliar sounds, sights, and eerie, dark rooms excite you, you’ll want to add these haunted attractions to your list of must-do Halloween activities. Here are the spookiest spots in the state. The first prisoner stepped foot in Eastern State Penitentiary in 1829. The penitentiary, which is now a National Historic Landmark, closed in 1971. It has been empty ever since, but many believe the prisoners’ spirits still remain. You can experience this haunted prison for yourself by going on a tour or attending one of the many year-round events. Back in 1877, one of the leaders of a famous union of coal miners, the Molly Maguires, was sentenced to death at Jim Thorpe’s Carbon County Jail. It's believed that, on the way to his execution, the leader smacked his hand against the wall, stating that he was innocent, and that his handprint would endure as proof. Today, the handprint can still be seen in cell 17. Sound intriguing? You can see it on one of the jail's ghost tours the first three Saturdays in October. While the battle of Gettysburg was raging, soldiers would hide and shoot from the windows inside the Farnsworth House attic. The soldiers’ ghosts (and those of their victims) refuse to rest in peace. For a spooky experience, Farnsworth House visitors can tour this haunted inn and may even encounter ghosts themselves. Check out the website for information on ghost tours and more. Want to experience some of the eeriest entertainment in Northeastern Pennsylvania? If your answer’s yes, you’ll want to run right over to Reaper’s Revenge in Scranton. Featuring terrifying dark mazes, haunted hayrides, and more, Reaper’s Revenge will have you shaking in your boots. Located in South Philadelphia, the Fright Factory features 25,000 square-feet of haunted goodness. Take a terrifying trip through all three of this year’s attractions: Industrial Nightmare, Silent Screams Asylum, and Fright Factory Unearthed—all packed inside of a building that’s of 105 years-old. According to the testimony of a young girl, it is said that the ghost of the theatre’s founder, Issac Mishler, haunts the theatre to this day. Throughout the years, actors, members of the crew, office staff, and even some visitors believe they’ve heard, felt, or seen Mishler. Visit the Mishler Theatre for an opportunity to hear, feel, or see him yourself. The Pennhurst Asylum is one of the most popular haunted attractions in the state. This walking, hospital-themed attraction uses a combination of actors, animatronics, digital sound, and more to terrify transients. Visitors will venture through the Asylum, Containment, the Morgue, and, finally, experience the Mayflower After Dark. Both tavern patrons and staff have disclosed paranormal activity at the Jean Bonnet Tavern. Whether it’s talk of doors opening and closing on their own or feelings of being touched when no one else is present, there’s always something spooky going on at the tavern. Come for the memorable dining experience and inviting atmosphere, stay for the scaries.